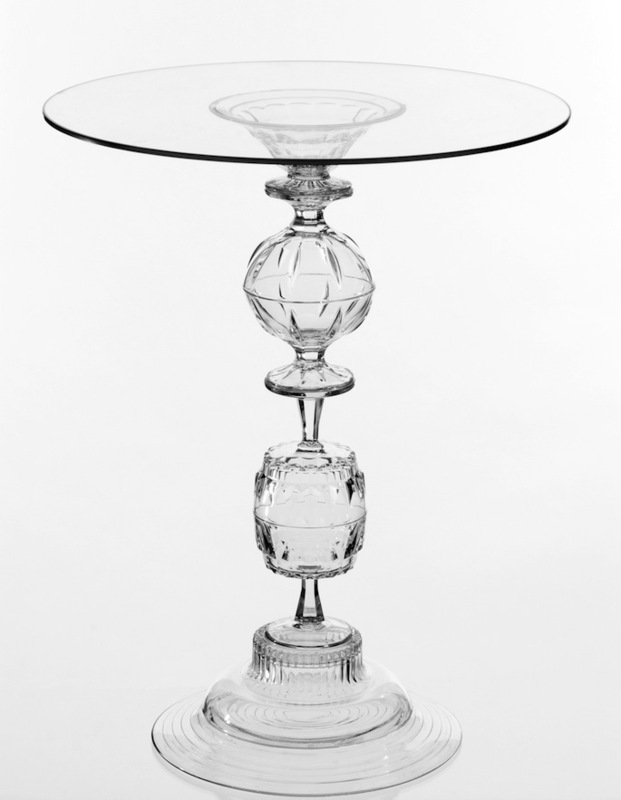 During the Victorian era, hand-blown, intricately patterned glass was a stylish sign of wealth. European aristocrats and American tycoons used it to transform their salons into jewel boxes, lining the rooms with gleaming vases, goblets and treys. But, similar to carriage making and shoe cobbling, the craft fell out of favour in the early 20th century, when more modern, steam-lined luxuries came into fashion. In the US, there were over 1,000 studios working with cut glass during the 1800s. By 1908, there were only 100. Now, designers are once again using the technique to create a sense of grandeur. For the same reason other pre-modern arts are making a comeback (knitting and quilting included), hand-tooled glass has a quality that is impossible to replicate with machines. But your great-great-great-grandmother wouldn’t readily recognize these light fixtures, bowls and tables. Although they are often made with a sense of care similar to days gone by, and sometimes riff on time-honoured styles, the overall aesthetic is entirely modern. 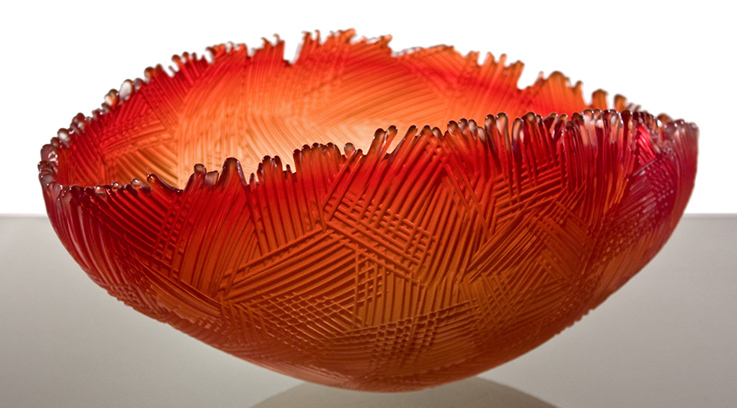 Toronto-based Nick Chase, for example, hand-blows his glass and etches his patterns using age-old methods. But his sensibility is loose, raw-edged and organic. “I try to ignore traditional patterning,” notes the designer. Instead, he looks to other places for inspiration: “I used to be an illustrator so I like things with a strong graphic quality. And I trained as a carpenter. Sometimes I think I’m carving the glass like it’s a piece of wood.” If only wood were as luminous. Here, five, sparkling examples of the cut glass revival. 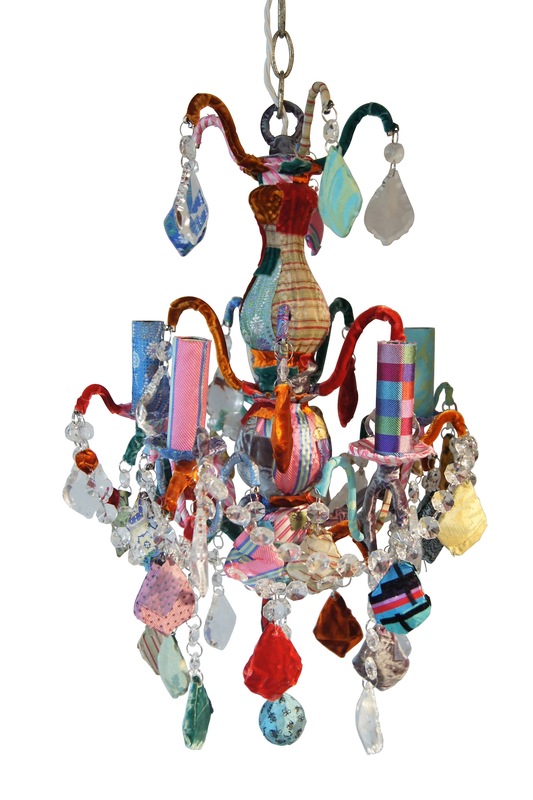 Lisa Whatmough’s cut crystal chandeliers are like Versailles meets Vivienne Westwood. 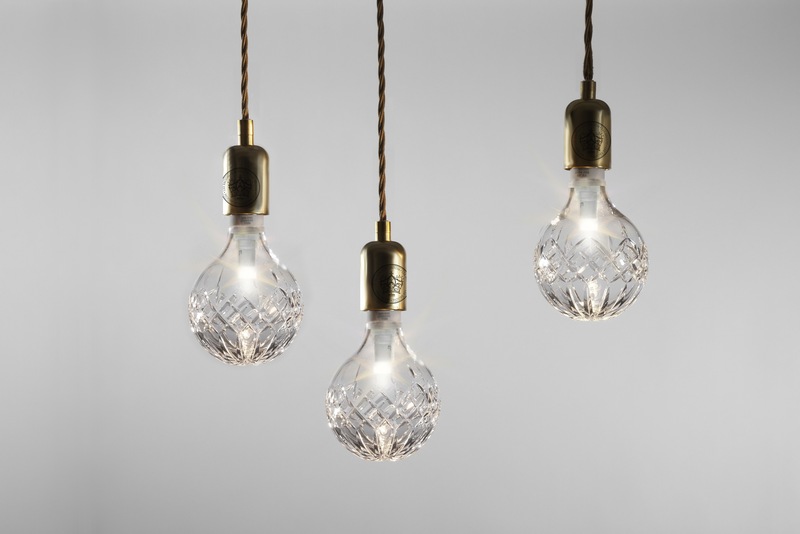 The London, England-based designer takes ready-made light fixtures — the classic kind with garlands of shimmering glass — and wraps most of the bobbles in a punk rock patch work of silks and velvet. Through squintlimited.com. Montreal-based designer Tat Chao scours vintage stores for odds and ends of old glassware sets. By stacking up the cups, and gluing them together with an invisible adhesive, he gives new life to traditional cut glass by turning the pieces into light fixtures, tables and candlesticks. Through tatchao.com. As the U.K.’s last remaining producer of hand-blown, hand-cut crystal, Cumbria is single-handedly upholding a deep tradition of craftsmanship. 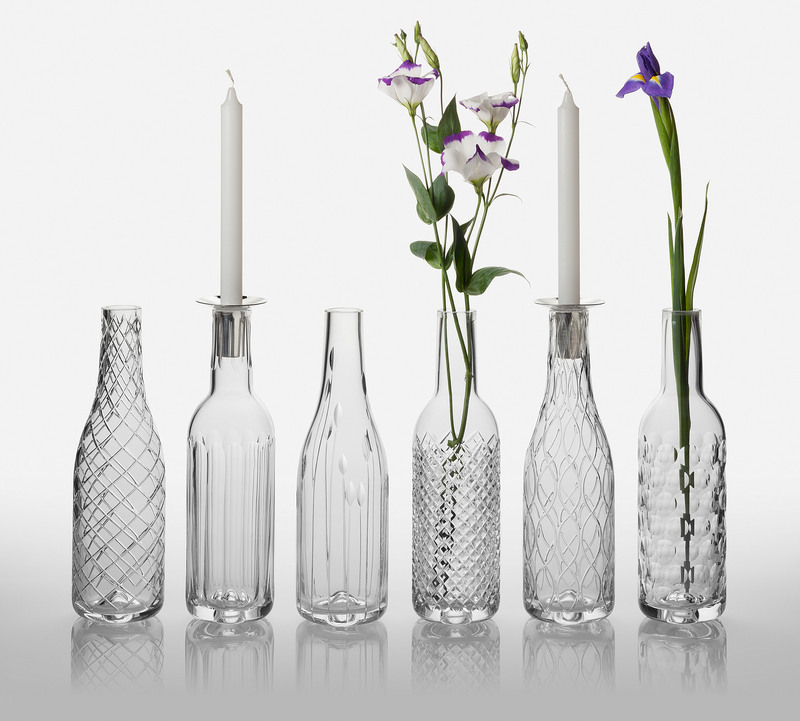 But its new collection of vases and candleholders is entirely contemporary. Rustic wine bottles from Bordeaux and Burgundy inspired the shapes. The patterning is stripped down yet playful. Through cumbriacrystal.com. Whether covered by a shade or obscured by some kind of casing, the bulbs are almost always the unsung hero of a light fixture. As an ostentatious statement of luxury, British Designer Lee Broom blings out the humble filament with a gleaming, cut crystal shell. Through leebroom.com. After Nick Chase hand blows and carves out his ‘Saw Cut’ bowl, he softens out any jagged edges by putting the dish back into the fire. It gives the whole thing an organic, forged-by-lightening look. Through nchasedesigns.ca. This piece originally appeared in the Globe and Mail on Thursday, March 28, 2013. This entry was posted in Design Spy and tagged Crystal, Cumbria Crystal, Decor, Decorating, Design, England, Glass, Hand Made, Home Decor, Lee Broom, Lisa Whatmough, London, Nick Chase, Silk, Squint, Tat Chao, The Globe and Mail, Velvet by mmhague. Bookmark the permalink.